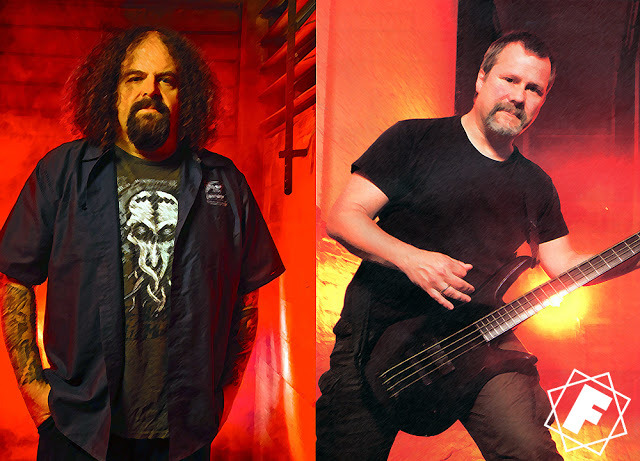 In February we reported on the new metal outfit Tronos made up of Shane Embury (Napalm Death, Brujeria), Troy Sanders (Mastodon), Dan Lilker (Nuclear Assault) and drummer Dirk Verbeuren (Megadeth, Soilwork).￼ The band have released an official lyric video for the track Premonition, the first song from the upcoming album Celestial Mechanics featuring Bill Gould on bass. Shane Embury : “I wrote the words to ‘Premonition’ on tour one year on a day-off in Portugal. I think it might have been on one of my birthdays away from home. I mean, when I am ever at home? Celestial Mechanics on April 12th, 2019 through Century Media Records.